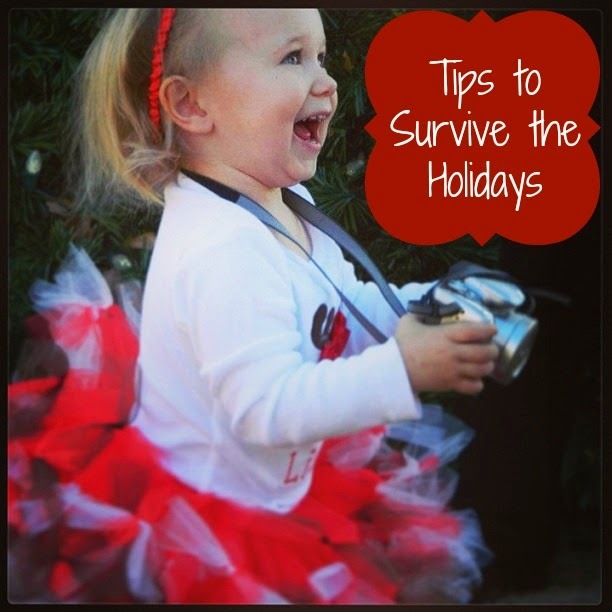 How to Survive the Holidays with Tips from Safety 1st! This post is brought to you by Safety 1st. The Holidays can be a chaotic and sometimes stressful time. But with these helpful tips from Safety 1st, you can have less stress and a more enjoyable Holiday season. 1. Avoid peak travel days – Try not to fly or drive the days immediately before and after the actual holiday. Those are the busiest travel days. However, if you fly or take a train you might save money by traveling on the actual holiday, the roads are less congested too. 2. Prepare your child for the trip – Holiday parties can be overwhelming with sensory overload. Especially for young children it’s good to talk about the upcoming trip days even weeks in advance. This will help them get excited about the journey. Show photos of family members or friends your child has not met yet, this way the new face might be a little familiar on arrival. 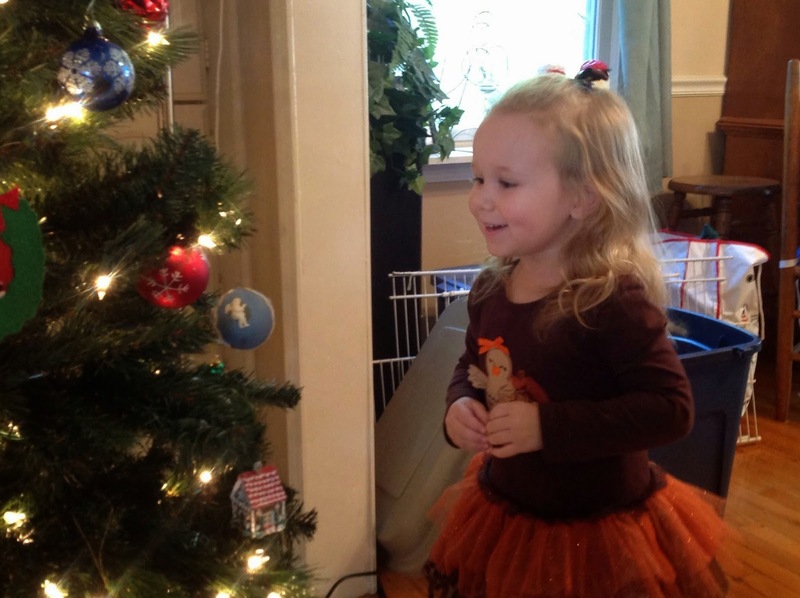 What do you do survive the Holidays with little ones? This is Sweet Pea's 4th Christmas and Peanut's first. I think we might have this thing nailed down, but any help is very much appreciated! Do you have any tips Safety 1st missed? Please comment below! And make sure to stick around because we have an exciting giveaway to win a convertible car seat from Safety 1st! So stay tuned! Thaks for the great advice! I probably need to follow tip 5 but I'm hesitant because I'm scared that will mean terrible sleep for the entire week before leading to a tired cranky baby on the plane. To avoid stressful travel, we are taking a long trip to the grandparents for three weeks! We are looking forward to not having every day crammed with activities! Wonderful advice! You have to make sure to do all of this.. I like prep the guest room.. when my sister comes with her little one that room gets turned into a nursery pretty much! Having to work ends our travel time but these are some great tips. I wish it was the time of year I could travel with the kids to visit family in different states but unfortunately unable to do so. These are some fantastic tips. I really like the idea of showing photos of unfamiliar people prior to them first meeting them. This is especially great if you have a shy child. These are all great tips! Thank goodness for those handy tablets now to help out! I have never heard of the The Safety 1st Car Door Sanitation Station I will be looking for one of those! Thanks for the great tips! I never thought about it before, but it's a really good idea to get the car seats re-checked before a long trip. We'll be driving 8+ hours on the highway soon, so I'd really like to make sure the car seats are nice and safe! I find #3 is what works best for us. I always try to carry snacks in the diaper bag and in my purse. Sometimes things go wrong you get stuck in traffic or the kid is just really hungry. Having food on hand seems to be the best way to prevent toddler meltdowns for me. Avoid stress during this time of year by remembering what is important..FAMILY! Make sure to involve the kids in decorating and they will be more willing to take care of your hard work. One tip is to make sure the kids get enough sleep and so should you! Avoiding stress is hard but to make sure the kids have different activities they can do would help so you don't have fighting or whining. Great tips. We don't travel during the holidays but we still try to avoid stress overload on our toddler by allowing plenty of downtime and making sure he doesn't get overly tired or hungry. We also carry some of his own toys with us and park him in a quiet corner to play alone when he needs some alone time. To avoid stressful traveling, bring anything reasonable that makes the kids feel comfortable. Children like consistency and thing's that they're familiar with. For example, a special blanket or pacifier. Thank goodness we are not traveling. Just staying at home. We did the same for Thanksgiving. We used to travel a lot with my family when I was a teen. We would drive to Mexico every 6 months and always for Christmas. From CA to MX then from NC to MX when we moved to North Carolina. Fun times lol. Thanks for the tips! I love this idea: Show photos of family members or friends your child has not met yet, this way the new face might be a little familiar on arrival. Here's a tip to share. Pack the familiar - comfy clothing, a favorite book, and a beloved toy. Those touches of home will help kids adjust to all the other new-ness they will encounter on a holiday trip. Thank you for the tips. We don't usually travel, but these are good ideas for if we do. And, I'm thinking the same as amyh, afraid that #5 will mean a bad week of sleep trying to get baby used to that. We have made many trips with our kids and used several of these tips. Great tips. Also - pack extra clothes and try to stick to nap times. And, don't stress over a meltdown, take a deep breath and do the best you can. Sticking to naptime schedules as much as possible during the holidays is SO important. Overtired, overwhelmed, grumpy young people is no fun for anyone. Also, as hard as it may be, limiting sweets for the little ones over the holidays is helpful to keep upset tummys and temper tantrums at bay. We try to keep our normal schedule with naps and meals for the most part. i loved the Prepare the guest room idea which is a must as the guests must be felt comfertable whenn they arrive at ones place for stay over during holidays. i liked all the ideas very informative. The only hard one is preparing them for a trip in advance. My son is 4, and I'll usually tell him when we're going to do something the next day because his sense of time is still so confusing. Even on the 4 hour drive up to the grandparents' house he forgot where we were going last weekend! My number one thing about the holidays is the "are we there" question. No matter what i do, the kids always seem to ask. Definitely going to utilize your tips to limit that. Thanks you. I love the tip to not travel during peak times that is a golden tip it is way too busy on the roads. Although I don't travel much it's great to take these tips into considerstion. Sense I don't travel, this really is good advice for someone who is unfarmiliar with the circumstances of traveling. Thanks so much for the tips!! We are traveling not long after the holidays, and I have fought with everyone in my family and my husband's family about taking my daughter's car seat on board the airplanes. Truth is, it is the safest way to travel by air with a child that is used to being in a 5 point harness or an infant. Packing snacks for kids is usually the best tip I can give traveling parents! I feel like hangriness is especially rampant in little kids, and snacks give them something to do with their hands, too. We had a screaming child on our flight one time and I gave her a pack of my Hello Kitty fruit snacks, and her mom looked so relieved! Hmm I'm about to go away for 10 days. I'm rethinking the pack n play idea. He's too long for it but sleeps curled up most of the time anyway. It seems like a good way to keep him contained. thanks! we also try to drive at night as much as possible so the little one can sleep in the car while we get some distance covered. Otherwise we have to take a lot of breaks as she doesn't want to sit in her seat all day. Thank you for the tips! I will absolutely avoid peak travel times. There's nothing worse than being stuck in traffic or at the airport with fussy kids. Make it an online shopping christmas. That way you'll beat the crowds! Preparing the guest room is so important! Great tip! Thank you for all the great tips. We don't usually travel much but when we do. e have our children pack 1 favorite book, 1 favorite stuffed animal, 1 favorite toy, plus each one of the children always brings along there school boxes inside those school boxes are chalk and dry erase markers, plus we always bring along coloring books with coloring pencils. This way the children have something to do to help keep there minds off the long trips ahead. I wish hubbys family would have the guest room prepped for when we get there... They just throw tons of stuff in there and with it being a small room, it gets oretty cramped with an infant along with the two of us. Great tips, always working around the child's schedule and naps is the most important for us! I try my hardest to know that if anything doesn't go as planned, I had at least tried to do all I could to make sure it was as smooth as it could go. These are great tips. We avoid junk and candy as well. Yes, Safercar.gov is a great resource. I don't think enough people know about that. Bring safety items with you as well - door/cabinet locks, wall socket covers. Also prepare your kids for animals if those you are visiting have them (dogs, cats, etc) and you don't. Animals can be scared of kids and kids can be scared of animals. We aren't traveling this year. But cousins are coming to us. I've been working extra hard on teaching them to communicate and share well lately. Haha! These are some great tips! I wish we could avoid the "Don't travel on peak days" one, but we can only do what work schedules allow. Happy Holidays to all! Great tips! We decided to leave on the 18th and come home on the 30th this year, it wasn't to bad flying on the 18th and I hope it's not totally nuts flying back. Thanks for the tips. Holidays can be just awful for many parents traveling. As for me, I prefer to stay close to home and avoid the hassle of it all. Do planning and shopping early. Do any cooking ahead of time that you can so that you have more thime to spend enjoying your family. My tip is slow down and focus on what you're doing. Too many accidents, both at home and away, happen due to distraction and carelessness. One tip is to make sure the kids get enough sleep and so should you! Some very good points. You always want to give yourself plenty of travel time and leave as early as possible and as prepared as possible. I guess we are lucky that our child has been very flexible with travel and we have always had an easy time with him. Now that baby number two is on the way, we will see! We already have a trip planned next year and I'm scared!!! I agree with the prepare your child for the trip tip. It makes the trip smoother when they are excited to go. Great ideas for the Are We There Yet? question constantly being asked! We will be traveling 3 hours to go visit with family and bring back my 5 nieces and nephew. They will stay with us for a week or two and then we travel to take them back. What a great idea to have your child practice sleeping in the play yard. It makes sense that it would make the play yard feel like a safe place if the child has used it in their normal environment first. i like to pack the kids a tablet for them whenever we go for holiday travel, it helps to keep them busy and always pack snacks and drinks too! Some wonderful and sound tips for all. Always best to be safe and not sorry! These are some great tips to help you from getting stressed out!